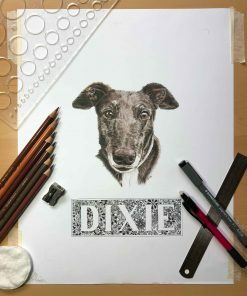 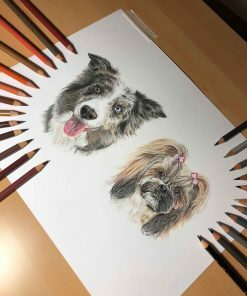 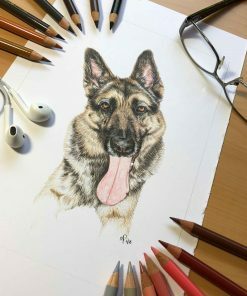 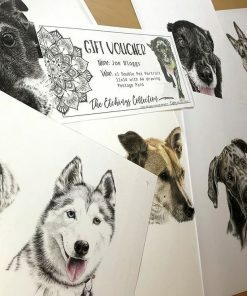 This voucher is redeemable to be put towards a customized hand-drawn, original pet portrait, using the highest quality, artist grade materials. 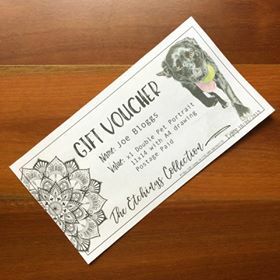 This is for a GIFT VOUCHER which will be emailed through to you after purchase. 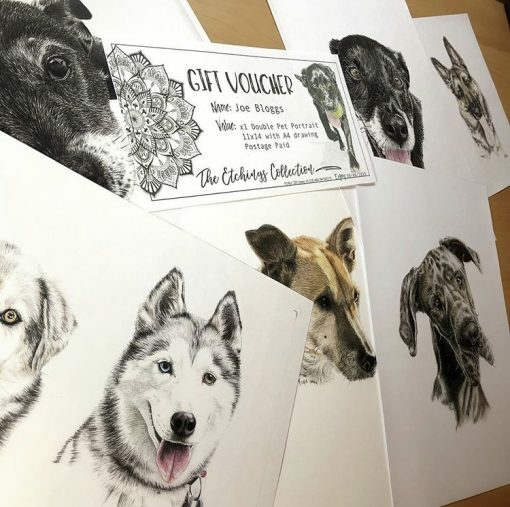 This voucher is redeemable to be put towards a customized hand-drawn, original pet portrait, using the highest quality, artist grade materials. 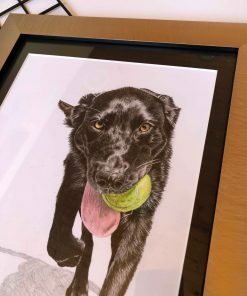 Your illustration will be drawn up based on reference photo(s) supplied by YOU and then mounted, completely ready to frame, giving you a long lasting timeless piece to keep those treasured memories alive forever. 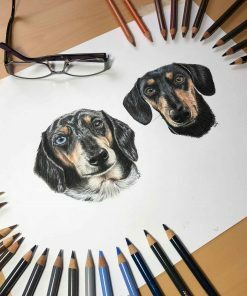 These gorgeous pieces also make terrific gifts!